Granite is the referee at one of those robot fighting arenas where you can sign up your AI to ‘fight for glory’, do note that repairs are on YOU. 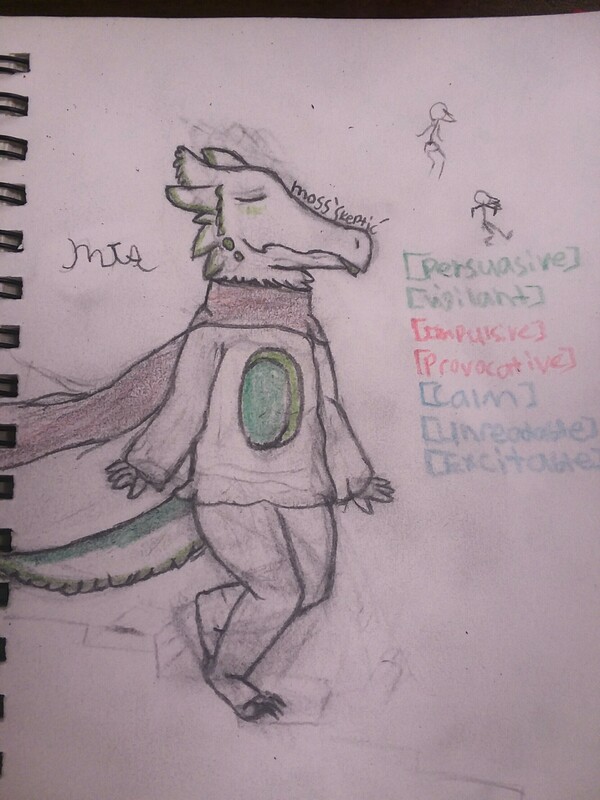 It doesn’t pay much but the manager covers the medical treatments for a missing eye, 3rd to 4th degree burns to the face, and whatever scratches she picks up after breaking two unruly AIs from their fight. She blames herself for her constant pain as it’s only common sense that you don’t step in front of a Thanatos, though she does take comfort in knowing that they and their owner were disqualified in the tournaments. Most of her life is spent treating wounds and wandering about for rocks, while the rest was doing her job, all in spite of her pain and whatever bozo decides to say ‘You shouldn’t be doing this if you’re in so much pain all the time!” No one stops Granite when she’s on a roll. it's Moss 'Skeptic'! Soft-spoken trans captain, who's a bit of a mess. Wait, this isn't an Aftik, at least, certainly not anymore! I don't think this even counts as a clockwork at this point. Who let this thing in here, anyway? Out! Out! And don't even think about raising that scythe at me! I ran into an interesting problem while making this, namely the specifics of Aftik anatomy. In particular, the shape of their ribs. 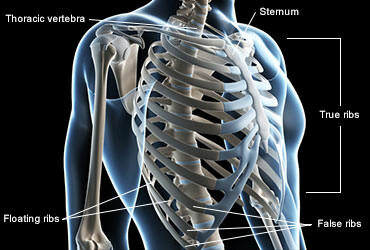 Most upright bipedal quadrupeds (humanoids) on Earth have closed rib cages. However, there's only one extant example -- us! 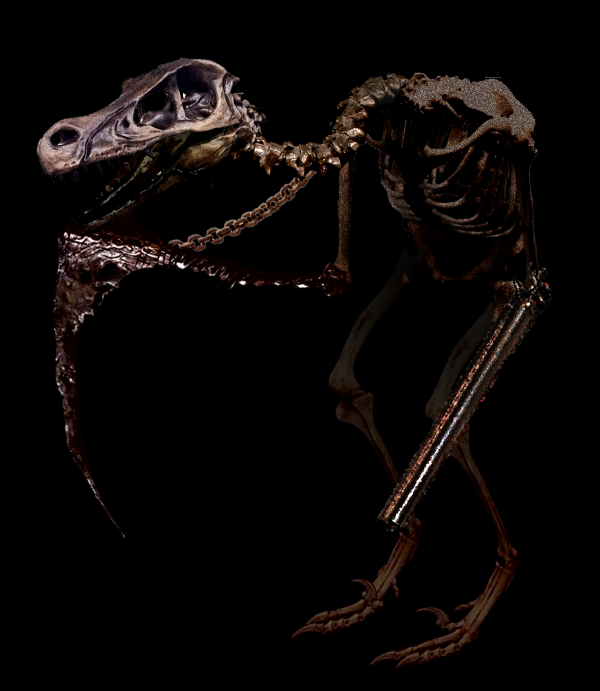 Almost all other animals, including the extinct Dromaeosauridae (Velociraptors + Deinonychus) family upon which I'm guessing Aftiks are based, have open rib cages. 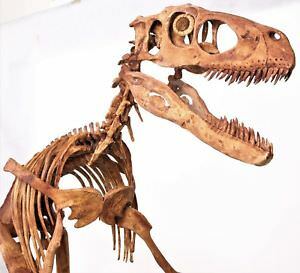 Deinonychus skeleton. Note how the ribs don't meet in the middle. 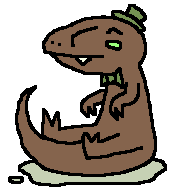 But, since that's likely because they don't stand upright, we can't really apply that to Aftik anatomy. Aftiks' other close Earthling relatives, birds (which conveniently are bipedal) have large, bladelike-sternums. 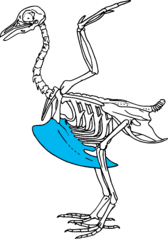 But, since those are only necessary to serve as an anchor point for birds' powerful wing muscles and Aftiks don't have wings, we can't really use that model either. In the end I just used a human skeleton, as it was easiest to find in the pose I needed, but it's an interesting question. There are many, many more of these sorts of questions we could ask, like whether they would retain their large toe-claws when they transitioned to upright movement, or what forced them to stand upright in the first place, but without knowing the conditions and ecology of their home planet, they're unfortunately impossible to answer. Here’s the last Aftik! I wanted to do something special but ended up not having enough time. So here’s the default. Everyone did a great job! Will this be d0ne in 2019? ALRIGHTY s0, this IS happening in 2019, i'll be hosting it. same as last time. sign up for the day you want. BUT MOST IMPORTANTLY, have fun. Sign up whenever y0u want! i'll keep track in this p0st via editing it. Can I get the 6th? I forgot entirely about this. Can I take the 9th, 13th, 23rd? Also would you like me to notify the servers I'm in or smth? Alright akwardcarapace is 0verthr0wing me, ill let em p0st what their idea is. Hey everyone! Gracious thank you to SK for allowing me to "hijack" this thread with my idea. Although April is already halfway over, I see no reason not to continue appreciating the iconic species of the Cosmosdex, the aftiks. That's why I'm starting HALFTIK APRIL 2019 (REDUX). Instead of a "sign up for slots" model, Halftik April 2019 (Redux) is going to be more of those challenge type things that anyone can do, like Inktober - there's going to a prompt list, and if you'd like to participate, you can. I'm going to be pulling from this website of weird holidays for the prompts. For example, on April 16th, there's Wear Your Pajamas to Work Day, Eggs Benedict Day, and Save The Elephant Day. Can you make an aftik character/design based on one of these holidays? Two?? ALL??? It's your choice! Below is a chart I made for the event. If you have an Eagle Time account and are participating, feel free to post your entries (text or image) in this thread. And if you know a holiday that falls on an April day that's not on the prompt list, go ahead and base a character off that if you want! (Note I basically just copy pasted all the holidays from that site even if they wouldn't translate very well to the Fortunaverse - for example days like "English Language Day" or "Hug an Australian Day".) Okay, have fun y'all!